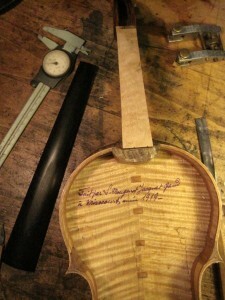 Putting a fingerboard on a very nice Mougenot violin gives you a chance to see the beautiful inscription written inside. This kind of signature is rather common in French instruments and often rather ornate. 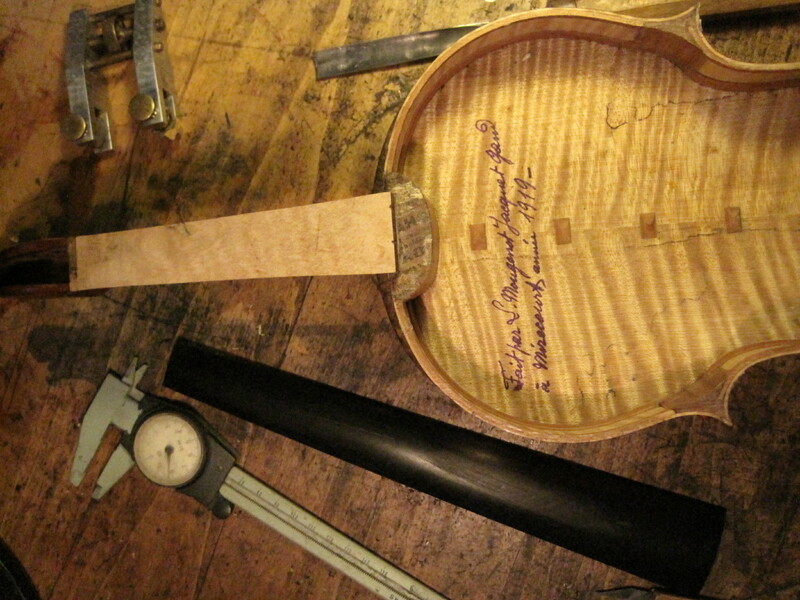 This one clearly states that it was made in Mirecourt (the French violinmaking town) in 1919 by Mougenot. I love the way the writing warmly displays the care with which this instrument was made.It also reminds me of Bill Moennig’s bold penmanship that seems to be part of a past era.